Sometimes when you are trying to restore or update your #iphone 6 using iTunes you will get some error code. These error codes correspond to a particular problem which we can easily tell thanks to #Apple which has released the description of each code. In this latest installment of our troubleshooting series we will tackle the iPhone 6 error 4013, 4005 which one of our readers is experiencing. I’m pretty sure that some of you who own various iPhone models may have also experienced this error code. The troubleshooting steps we have provided below will also apply to your particular model. 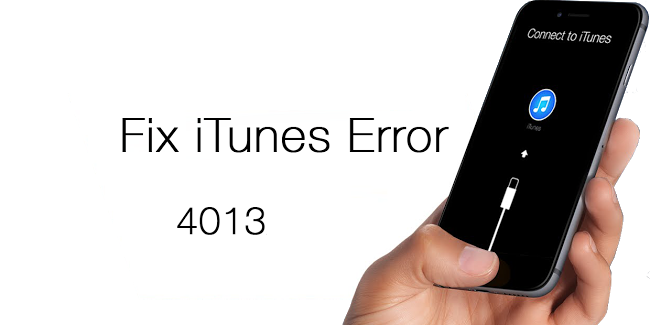 Solution: When trying to restore a phone using iTunes you will sometimes get an error code if something goes wrong. The good thing about this is that we can determine what troubleshooting steps that we need to do by looking at this error code. For the 4013 and 4005 error try to perform the troubleshooting steps listed below. Make sure that your computer is running on the latest version of iTunes. If you are able to uninstall iTunes then do it then reinstall a fresh version. If you are using a Mac or Windows based computer make sure that it has the latest updates applied. Force your phone to restart by pressing and holding both the Sleep/Wake and Home buttons for at least ten seconds, until you see the Apple logo.